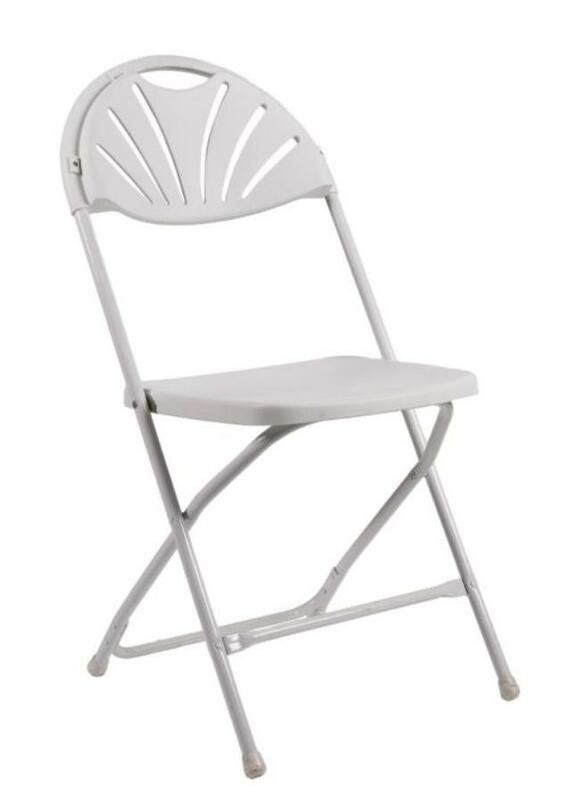 Our white fanback chairs are great for wedding ceremonies, wedding receptions, or any event where you require seating. The curved back means extra comfort for your guests. White plastic seat with white metal legs. Added elegance in the beautiful fanback design. Constructed to be durable, yet lightweight. Stackable up to 50 chairs. * Please call us for any questions on our chair white fan back rentals in Boston, Somerville, Brookline, Cambridge, Malden, and Everett.